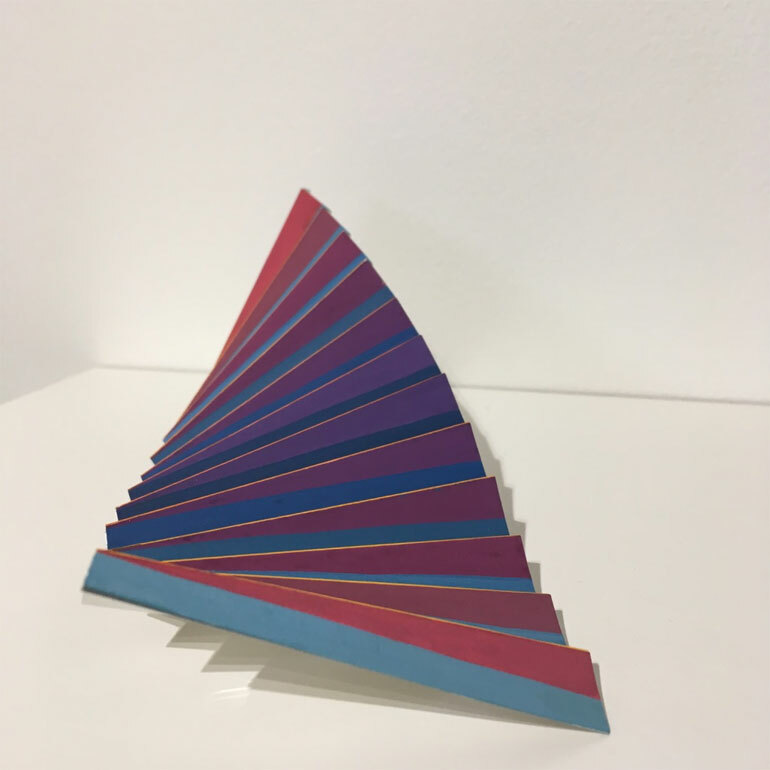 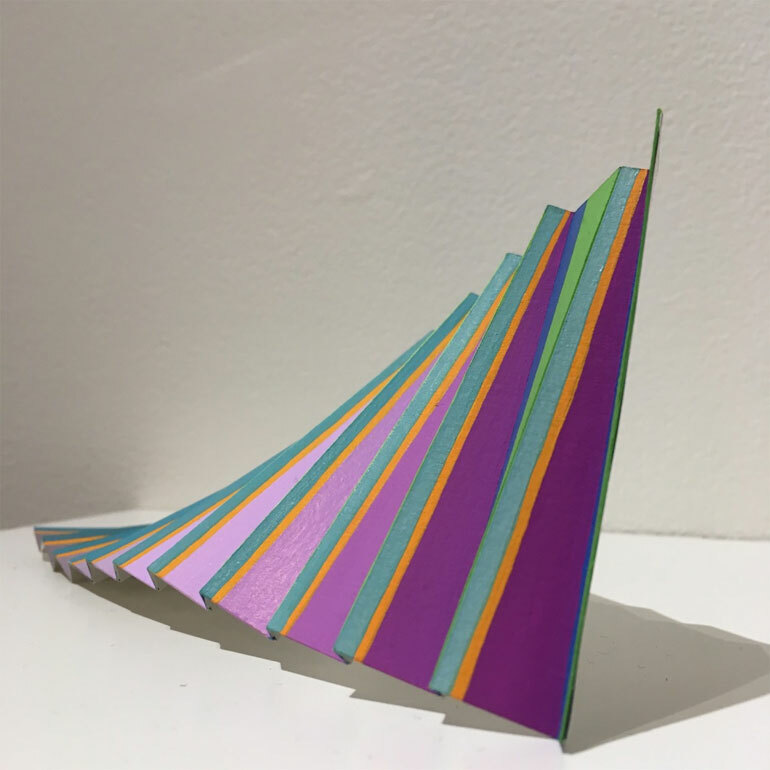 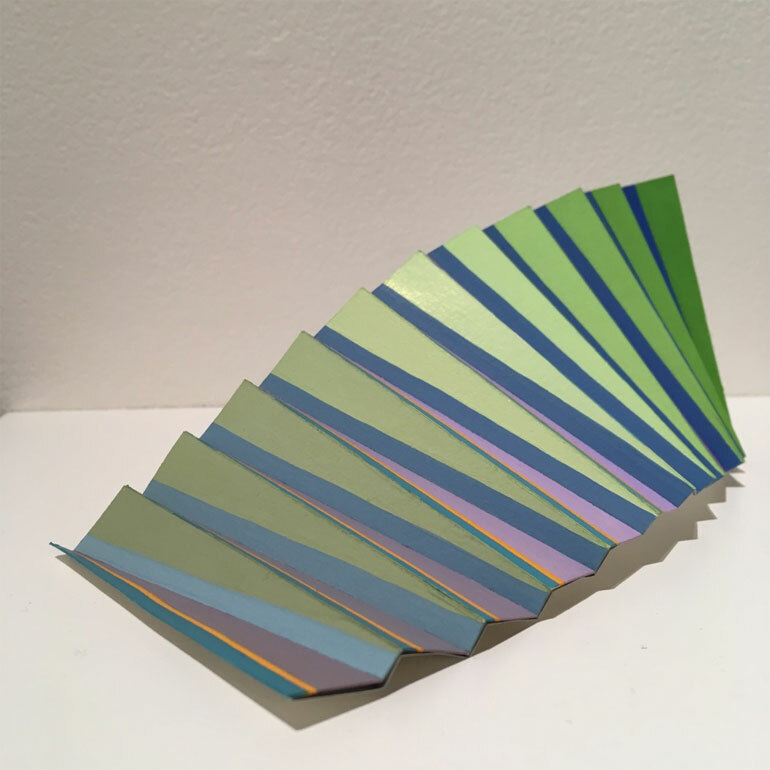 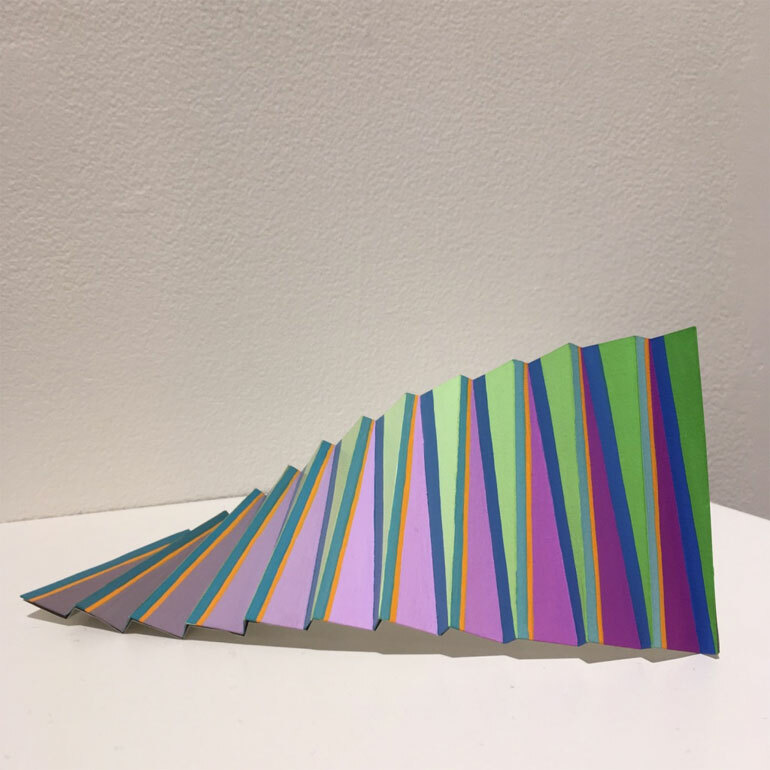 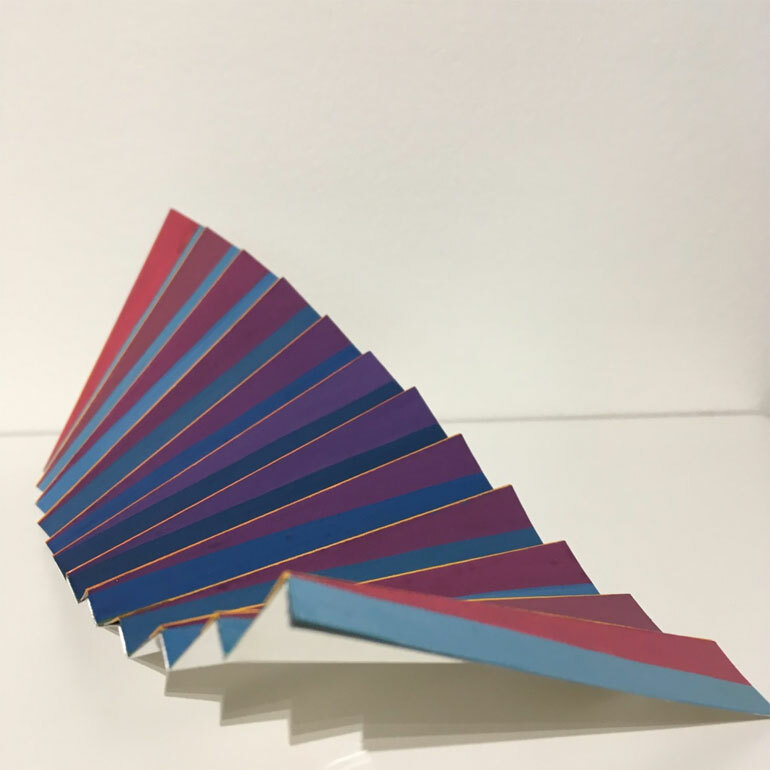 Inspired by the colours of the natural landscape, Colourwave series is exploratory in its nature into how the gradations of colours can be manipulated to enhance the form and structure of a simple construction in paper; backed by the softest metal foil. 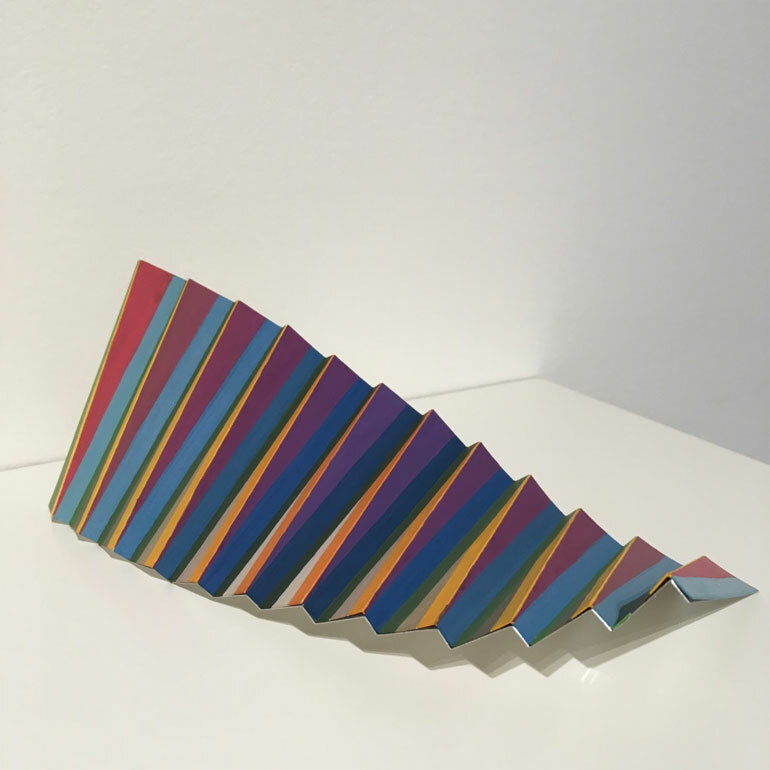 Visual play in the pieces is a highlight of the series allowing for momentary connections. 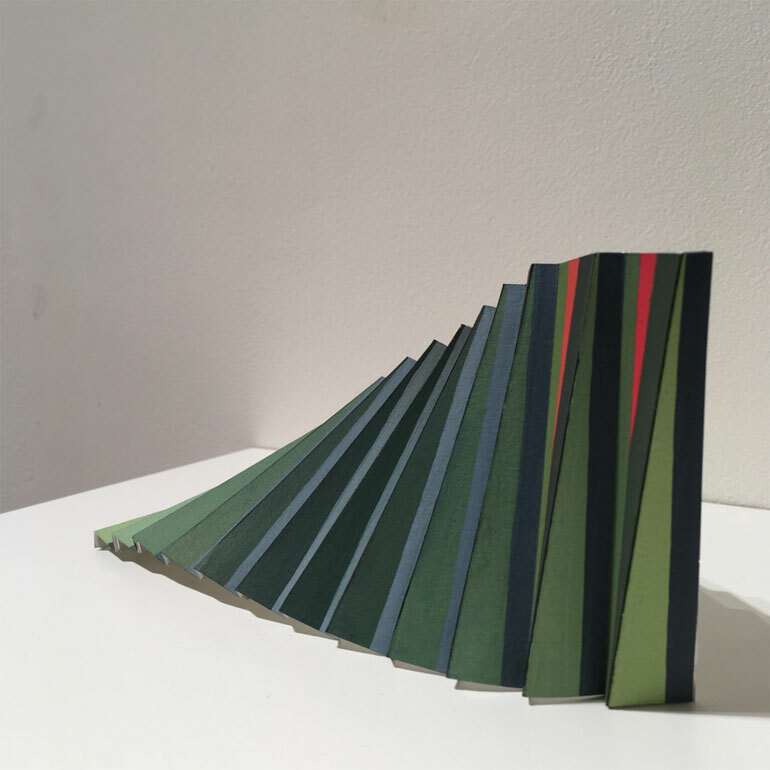 Investigating the connection between the colour palettes of nature interacting with the structure and form of construction. 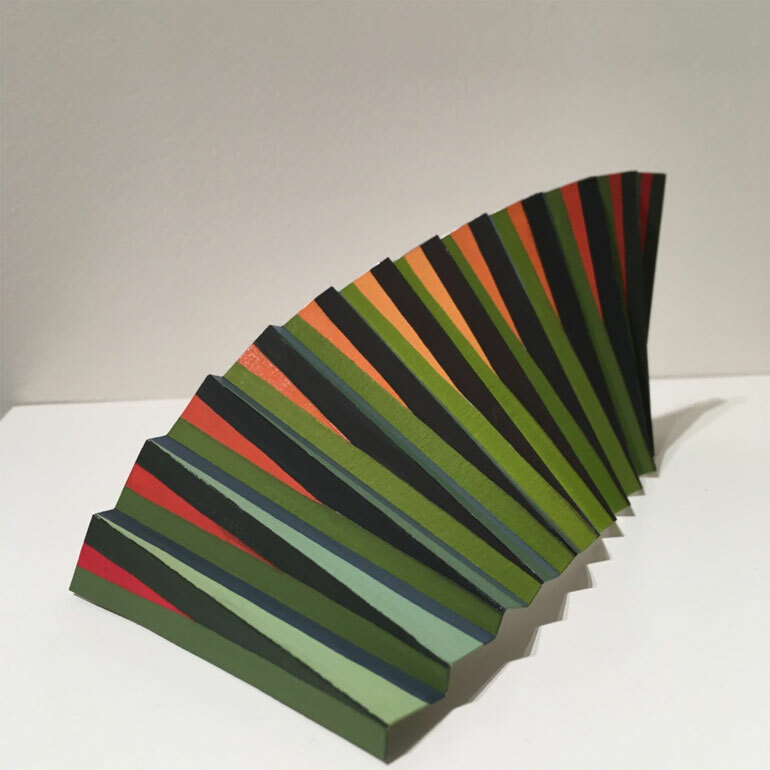 Inspired by the colours of grevillea blooms whilst exploring the interactions between colour, form and structure of the construction. 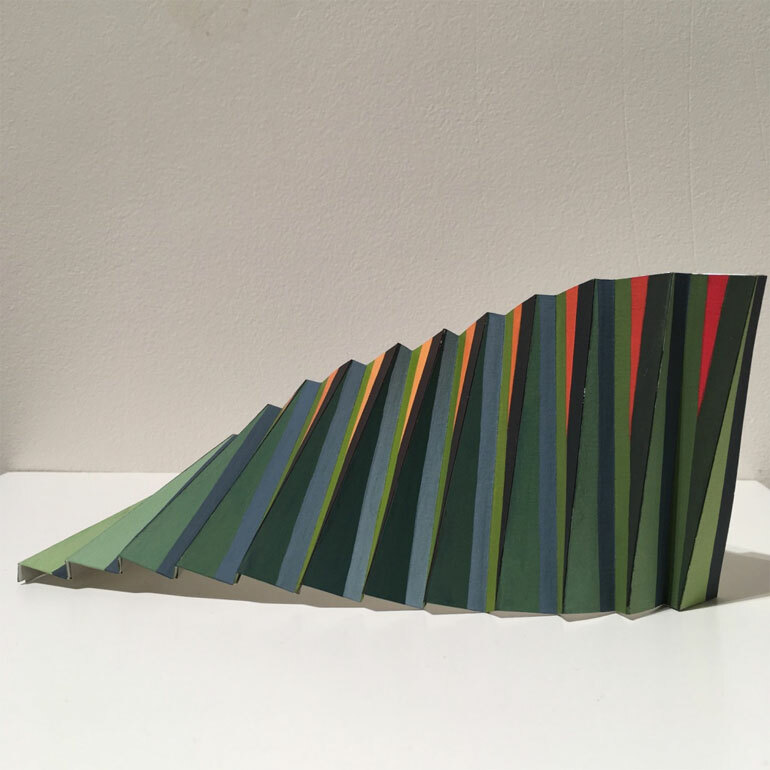 Inspired by the colours of the landscape whilst exploring the interactions between colour, form and structure of the construction.